well, i made it successfully through my first week on the $50 diet without any major trauma. i went out, i drank beers, i had lunch dates and snack breaks. i’m hardly cured of my spendy mcspenderson ways, but i did somehow manage to stay within my budget. and i think, very possibly, i might have even accidentally learned a few things. 1. ask for the cheap beer. usually something of the PBR or miller high life variety, but occasionally something pretty awesome like the $2 magic hat #9s (my all time favorite beer) at the port city music hall on tuesday night. bars have specials, it is in your wallet’s best interest to find out where they are. 2. it’s never the wrong time to downgrade. day old bagels, iced coffee instead of an iced latte…i usually just wander into a food service establishment and order whatever the heck seems appealing in the moment- with no regard for sticker price. now, in an effort to hoard my sacred money, i start analyzing the menu in terms of bulk per dollar. i don’t just want something delicious anymore- i want something delicious that’s a good value. 3. accessorize your dinner. by friday night, i had exactly $8 left and was headed to the cupboard for the broke girl’s favorite dinner of pasta pasta pasta. not entirely as dismal as it sounds, i mixed some leftover faux sausage with a little paul newman sockarooni, but it was still missing something. 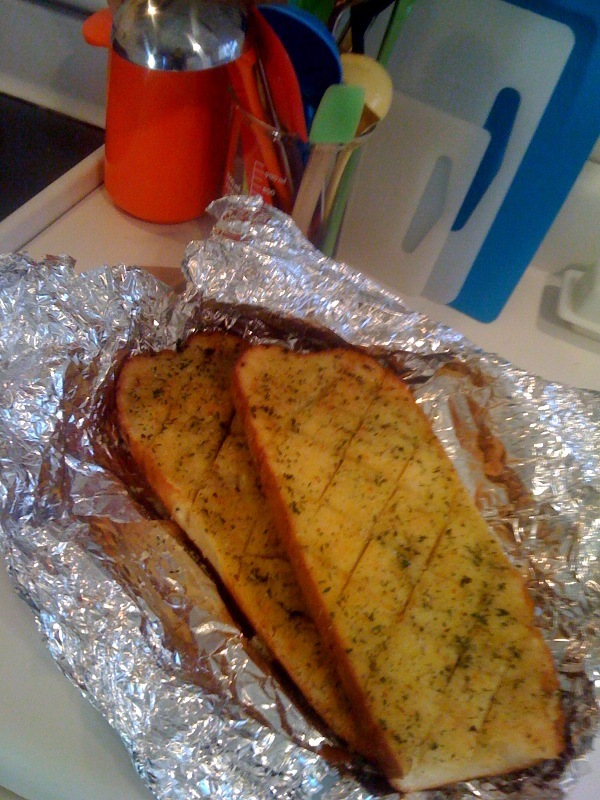 the boyfriend brilliantly suggested investing in a $3.49 loaf of garlic bread from the amato’s. instantly, our dinner went from pitiful to butter soaked amazing. 4. work those coupons! by saturday evening, i had $2 left and was smothering in the hot hot heat. but then, i unearthed a 2 for one blizzard coupon that i got for joining the DQ blizzard fan club. and not just the bitty blizzards, the 16 oz bad asses guaranteed to make you blissfully barfy. $3.74 for both, split with a more than willing boyfriend, i was able to satiate my fatness, and finish the week with a few coins in my pocket (very few, but still). 5. it’s ok to cheat a little. i didn’t use my debit card, but i may have accidentally dipped into the laundry quarters to purchase some emergency m&ms. when you’re cutting corners, it doesn’t always cost a lot to carry yourself through the rough spots. on a strict budget, even $.99 candy seems like a spurge. mmm… thought-provoking. i feel that way about coupons- like there aren’t a lot for products i usually buy anyway. this from wisebread.com. Oh I am so totally joining the DQ club. Thank you, goddess of cheeeep! best idea ever. 2 for 1 blizzards is the perfect cheapster summer date.